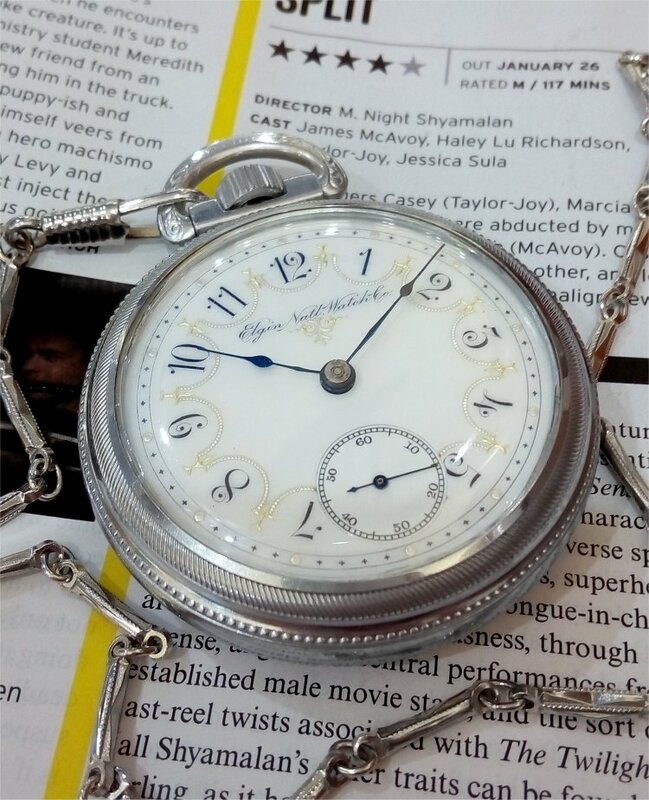 I carried this 1898 Elgin Grade 172 watch today. It's a big 18 size watch featuring an attractive fancy glass enamel dial. These glass dials are quite susceptible to cracking and it is becoming harder to find undamaged examples such as this, (at least for a decent price!). You can read more about the watch and see other photos in the earlier post here. 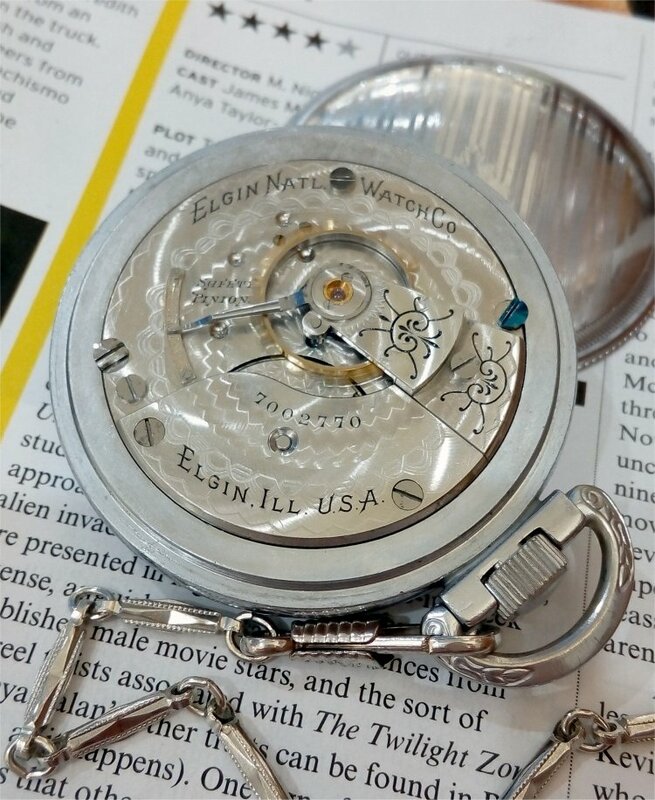 The Grade 172 movement is a well finsihed 7 jeweler, running like a champ. A very capable 119 year old movement. 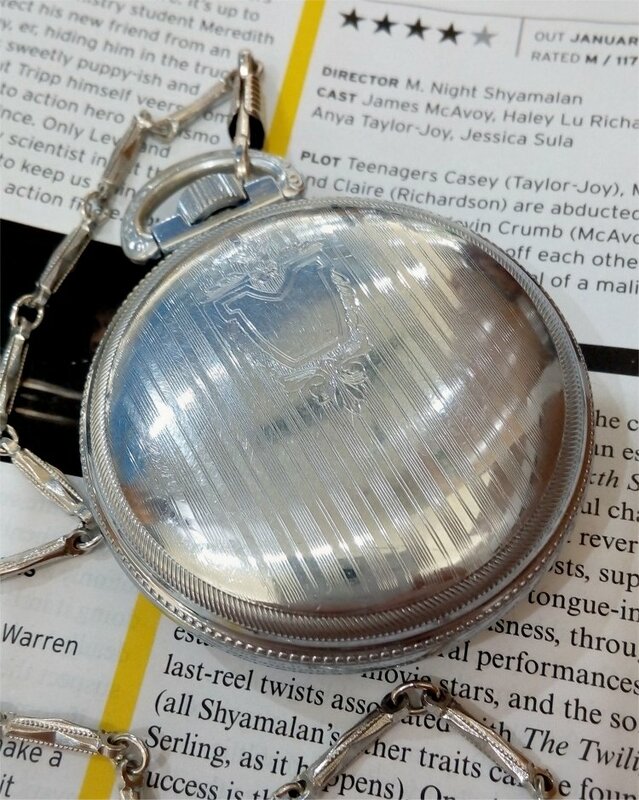 The movement is housed in a "Defiance" watch case made by the Star Watch Case Co. 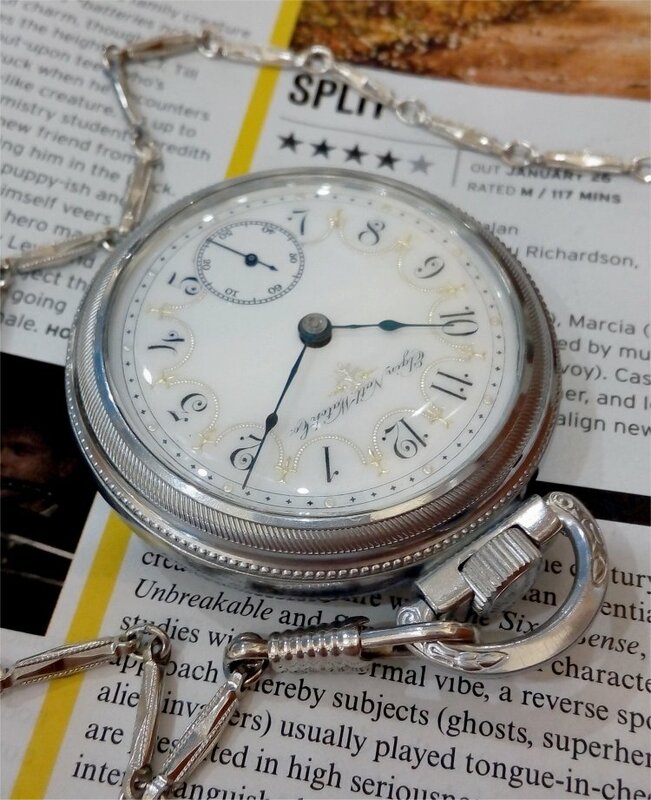 This case was produced significantly later than the movement and so it will have been re-cased at some time in the past, possibly (very probably) if the original case was solid gold and was scrapped as so many unfortunately have been. It's quite a large watch as 18 sizers tend to be, measuring 54mm in diameter and 13.5mm thick.